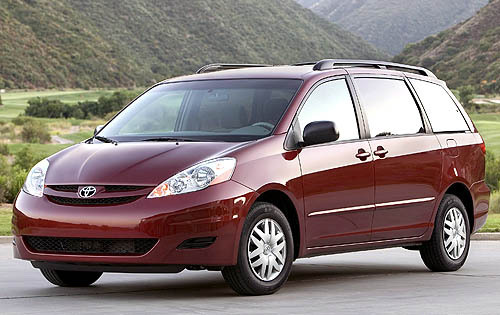 TORRANCE, CA September 26, 2013 – Toyota Motor Sales, USA, Inc. today announced that it will conduct a voluntary safety recall involving approximately 615,000 Sienna minivans from Model Years 2004-2005 and 2007-2009 to address problems with the shift lever assembly. Because of the potential for damage to the shift lock solenoid installed in involved vehicles, there is a possibility that the shift lever could be moved out of the “P” position without the driver depressing the brake pedal. This could result in a vehicle roll-away. All known owners of the subject vehicles will be notified by first class mail to return their vehicles to a Toyota dealer for replacement of the shift lock solenoid with a new one. You an also use your VIN to determine if your vehicle is affected by this recall. Simply go to http://www.toyota.com/owners/web/pages/resources/recalls.